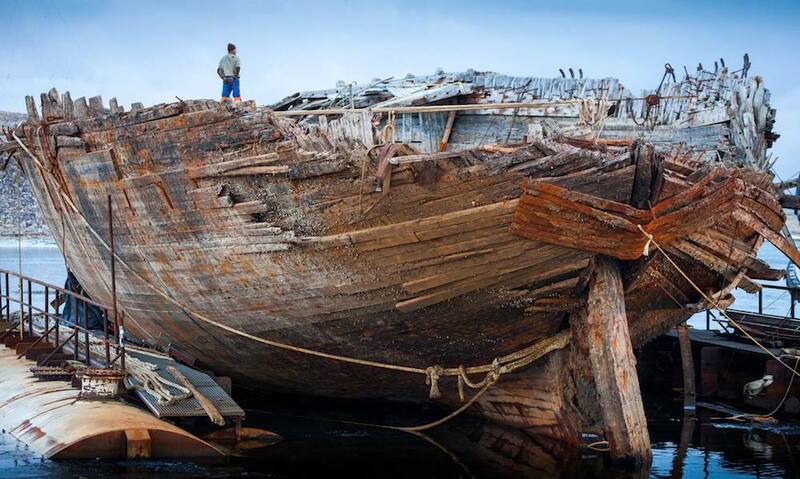 Despite never reaching its goal, the ship is considered to be an important element of Norway’s polar history. Two years after being raised from the shallow waters off Cambridge Bay, in Nunavut, and a century after it set off on the voyage for which it was built, the ship that carried Roald Amundsen on an unsuccessful attempt to reach the North Pole has returned home to Norway. The Maud is due to arrive at its final destination, in the port town of Vollen, where it was built, on August 18. 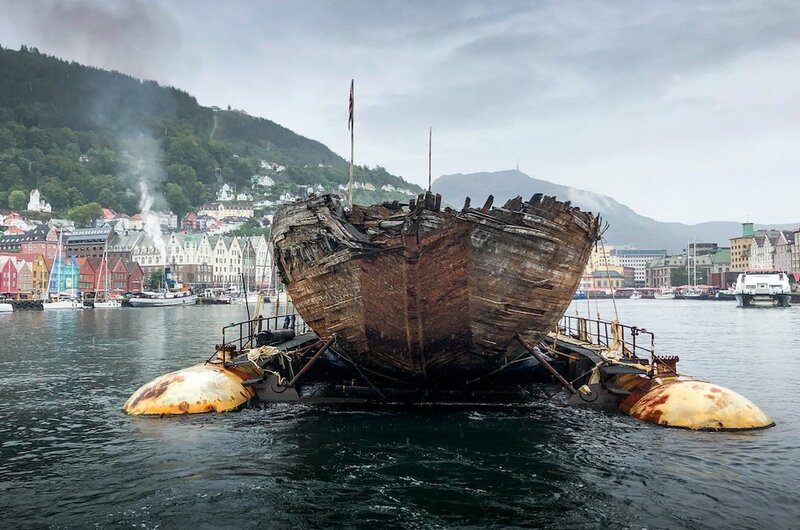 Eventually, the organizers of the Maud Returns Home project hope they can raise enough money to build a museum around the vessel, according to Jan Wanggaard, the project’s leader. The arrival of the Maud in Bergen on Monday marks the belated end of what became a chaotic effort to freeze the ship into Arctic sea ice and use it as a research platform that would eventually drift across the North Pole. Amundsen’s credentials as a polar explorer were legendary, including multiple successes — as well as failures — in his efforts to reach both poles and sail through the Arctic. But, despite his repeated efforts between 1918 and 1921, he was never able to sail the Maud far enough north to be able to reach the currents that would take the vessel to the North Pole. The costs of those efforts eventually resulted in the Maud being turned over to American creditors in August 1921, after Amundsen’s third and final attempt to use it to reach the North Pole. Although Amundsen left the expedition, he managed to retain ownership of the Maud after his dispute with his creditors, and its crew continued efforts to accomplish its original mission until 1925, when the ship was seized and sold on to the Hudson Bay Company, which converted it into a floating warehouse and radio station. In 1930, the Maud, by then renamed the Baymaud, sank while moored in Cambridge Bay. 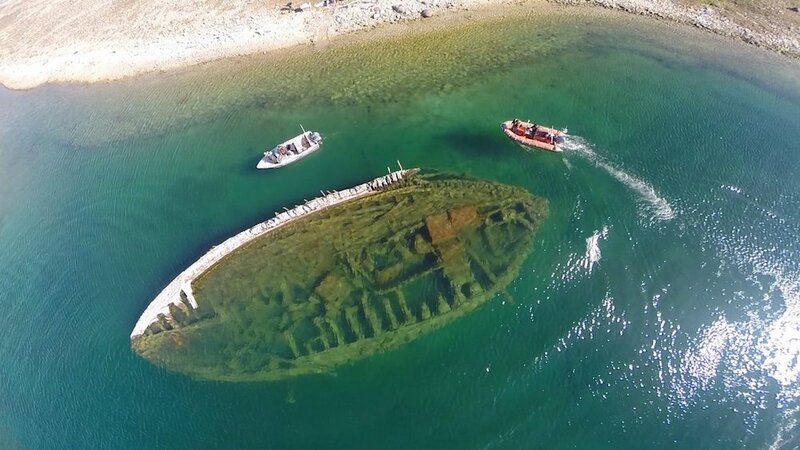 There it lie all but undisturbed, its starboard side visible from shore, until 1990, when local officials in Asker, Norway, which encompasses Vollen, bought the wreck for a dollar and applied for permission to remove it from the country. Though the request was approved, no action was taken and the permission lapsed. This latest effort began in 2011, when Wanggard and his group overtook the rights to the Maud. It gained the decisive momentum the next year, when Canadian authorities overturned a decision that would have prevented the Maud from being sent to Norway, on the grounds that it had become Canadian cultural property, and a valued attraction for its Arctic territory. Wanggaard’s primary argument against the decision was the Maud’s provenance. Of more concern, though, was that without a clear Canadian plan to raise the Maud from the shallow waters where it rested, the ship risked further deterioration at the hands of sea ice. Being granted permission meant that the project could begin making the arrangements that would be necessary for what Wanggaard described at the time as “the great challenge” of finally bringing the Maud home. As it turns out, that challenge wound up taking the better part of seven years and involved repeated delays. The original plan called for the Maud to be raised in 2013 and towed the 3,700 nautical miles (7,000km) to Vollen. At an average speed of 5 knots, the journey was expected to take 30 days. Eventually, in 2016, the hull of what was once a three-masted ship was lifted out of the water and loaded onto a barge. But even then, the crew’s wait was far from over. Sailing finally began in the late summer of 2017. After three weeks, the Maud and its escorts arrived, “exhausted”, in Aasiaat, Greenland, where it was stored until June when it could set off what was to be the final leg across the North Atlantic. After departing Greenland, the Maud cautiously made its way to Norway, calling on ports in Greenland, Iceland, and the Faroe Islands, before, finally, “crossing its own trail,” as Wanggaard described it, on Monday.